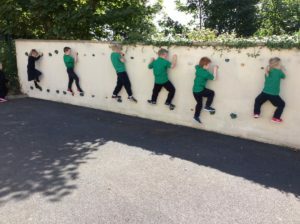 ACTIVE SCHOOLS: Screen N.S. 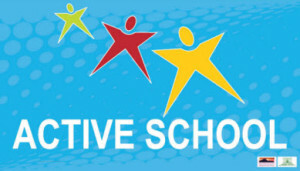 is one of only 26 schools in Wexford that have the Active Schools Flag. We are currently seeking to renew our flag. 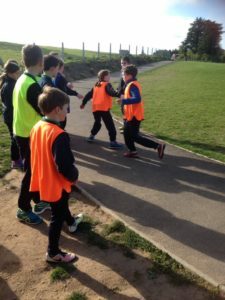 Activities available here include: weekly GAA coaching, aerobics, nature walks, orienteering, Go Noodle, Busy Breaks dancing, P.E., external coaches, etc… the list is endless!!! We have a fully stocked PE store with every piece of equipment needed for children to access the full PE curriculum. A fabulous walking track built recently to promote health and fitness. Check out our new Climbing Wall to the left to see our newest Active Addition! 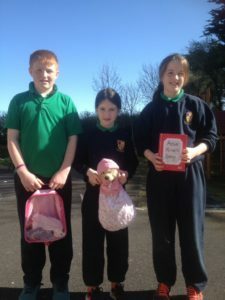 Last year Active Annie joined the roll call in Screen NS and went home with every family in the school at least once! She even had day trips and holidays to the Dublin City Marathon, Dublin Zoo, birthday parties and much more!!! Every family write in Active Annie’s Diary which filled up really quickly each night and added pictures by printing or emailing them to the school where they were printed and stuck in. Updates were daily on Twitter too! People took great care of her with weekly washes and an ever-growing wardrobe! Many thanks to all the kids and their parents! 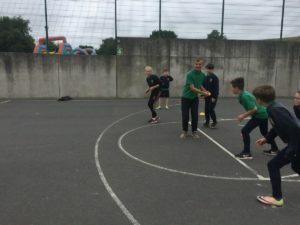 Our latest initiative is Lunch Time Soccer League being run by 6th class. All children in 3rd-6th have been asked to play if they wish and the teams are displayed in school!